BARNS ONCE SHELTERED cows, pigs, sheep, a farmer’s livelihood. Some still do. But most don’t. Today all too many barns stand empty of animals and are used instead for storage of recreational vehicles and other possessions. Others are simply slumping into heaps, like rotting carcasses with backbones exposed. I fear barns will soon become memories rather than strongholds, symbols, anchors of farm sites. Their demise has been steady, sure. I see it every time I drive through the Minnesota countryside. Empty barns. Weathered siding. Curling shingles. Boarded windows. Weeds overtaking former cow yards. I understand the financial burden of keeping up these massive structures. Sometimes it just is not in the budget to maintain a barn that provides zero income. Back in the day when I rolled a wheelbarrow brimming with ground feed down the barn aisle, forked straw onto cement for cow’s bedding, shoved manure into the gutter, dodged streams of hot cow pee, shoveled pungent silage before stanchions, the barn and associated source of revenue were more important than the house. Long before my childhood home had an indoor bathroom, the barn had a gutter cleaner. Times have changed. Many farmers no longer raise cattle or hogs or milk cows. They plant cash crops and work off the farm. And so days and weeks and months and years pass and the empty barns, without the humid warmth of animals, without the daily care of the farmer, without the heartbeat of life, begin to die. Except for those that are saved. 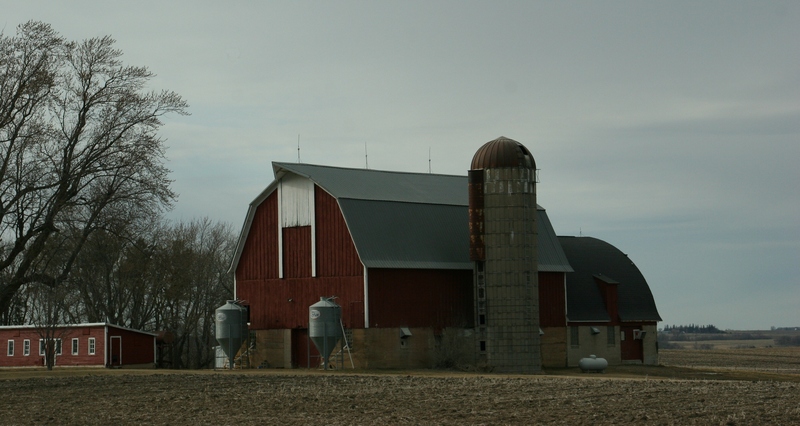 FYI: All of these barns were photographed in southeastern Minnesota, mostly around Pine Island and Oronoco. 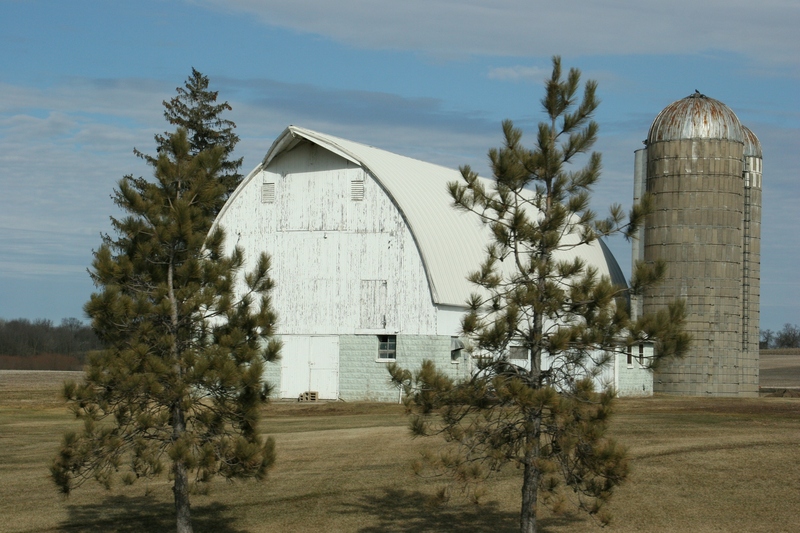 Click here to learn about Friends of Minnesota Barns, a non-profit dedicated to celebrating and preserving Minnesota’s rural heritage. 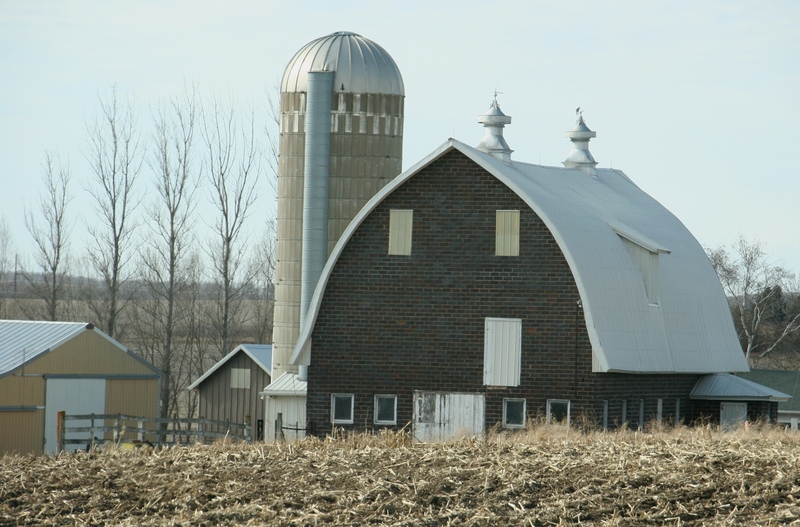 I don’t know of too many people who are not drawn to barns –they are one of the things in the landscape that make an impact whether they are in good condition or beyond repair. 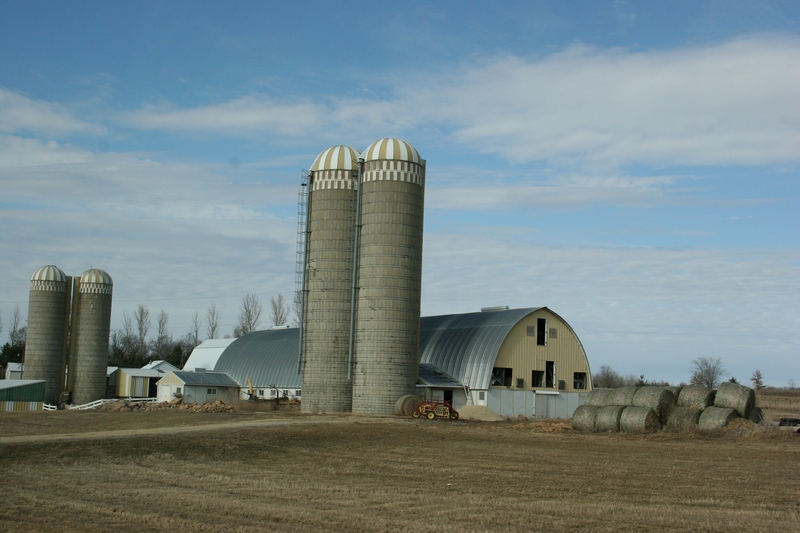 I love that there is a Friends of Minnesota Barns that is dedicated to preserving them. My own grandparents’ barn was bought by a couple who was going to have the Amish disassemble it and reassemble it on their property for a house . The initial payment was made and then it sat. And sat. And sat. They never followed through and the last time I saw it it was one of those you described –slumping, falling into the landscape around it and no longer safe to be in. Makes me sad to think about it because I have so many fun memories of playing in it. I can relate to your personal feelings of loss regarding your grandparents’ barn. The barn my dad built has stood empty for years. I don’t know its current condition. The shame of it is, with a steel roof and quality paint, these structures will last for centuries. 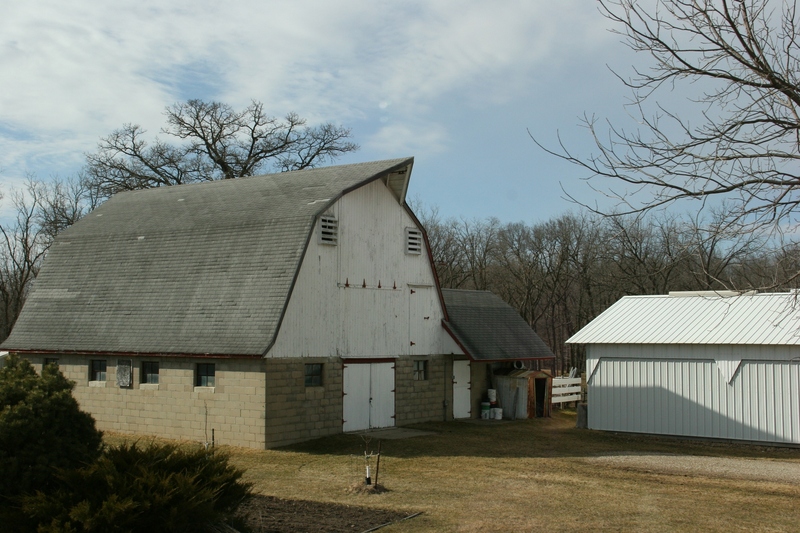 A number of my relatives own barns and I suggested at a family gathering.that it would be great if the state could steer some of gambling trust funds toward minimum maintenance on old barns. You would have thought I had tossed a grenade into the room. Vehement opposition came raging in from left, right and sideways. The problem they said, is that grants come with strings attached. Being a city-boy, I learned a lot that evening about how one government program will fine you for doing what another mandates that you do. It is sad that we are losing our heritage to the private burden of maintaining what should be a public trust. Oh, I can only imagine how that tossed grenade exploded. But what a discussion it was with ideas and information exchanged, although still no solution. Symbols of a more agrarian time in our nation, when we were individually self-sufficient and did not rely on giant conglomerates to supply us with our food. 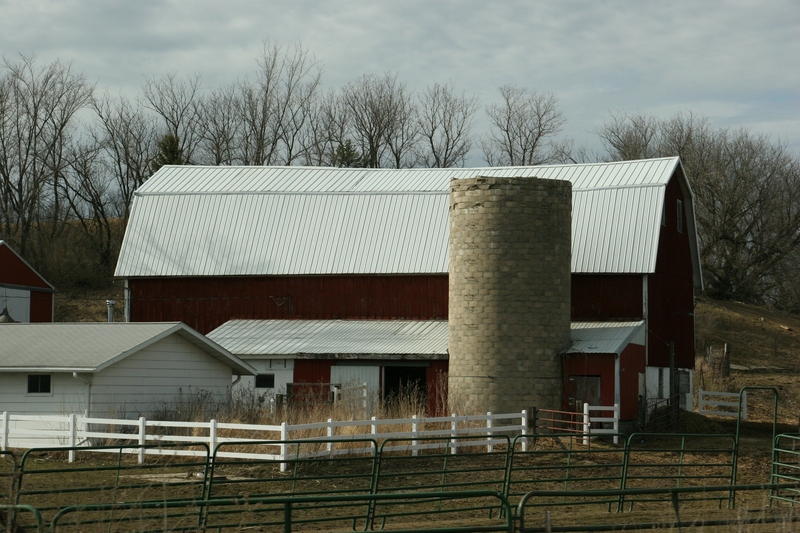 Unfortunately, most of the barns I see today are upscale horse barns for the well-to-do. How times have changed, haven’t they? Now I’m talking like an old timer, even if I’m not, but maybe I am. The elements do take their toll. Thank you for preserving your barn, for using it as it was meant to be used. I was surprised when my brother took measures to restore our grandparents barn in Nebraska. Though it still needs work and is used only to store surplus car parts and “junk”, it has a new roof, and has been shored up from it’s previous leaning position. It will last another decade or so with paint and patching done, but the cost to keep up these old structures is magnificent. Here in Oklahoma, I see many old structures where rock or block makes up for the lower foundation and wood at top. They are beautiful bits of architecture on the prairie, but just like up north, few of them are being kept up or repaired. This is wonderful that your brother restored your parents barn in Nebraska. 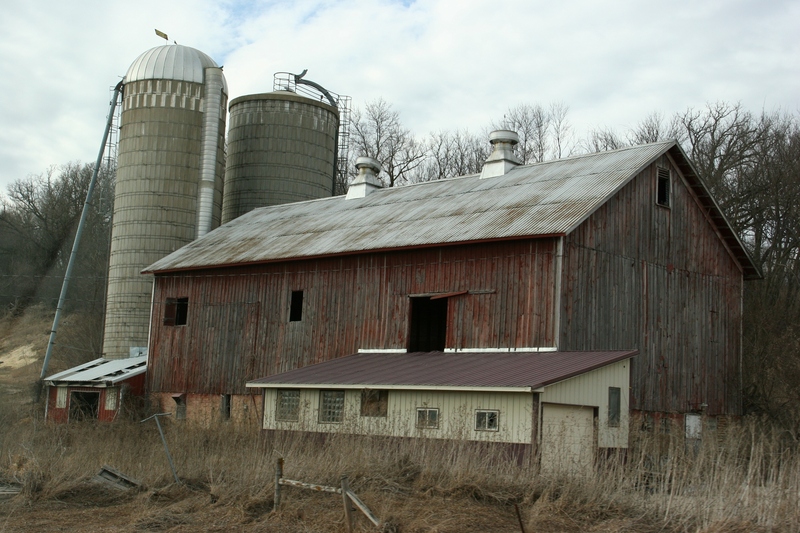 It takes a lot of time, work and money, which I’m sure are the reasons many barns are left to rot. Beautiful structures. Next you should do a post with nearly condemned barns. Unfortunately they are “a dime a dozen” in the Mid West. What was once considered Americas Heartland is now becoming more industrialized every day. It’s sad to see small towns loose their country charm. The barns you see in this post were those I spotted, and managed to photograph, on a recent day trip. I was pleased to see so many barns that have been kept up versus falling into ruin. I absolutely agree with your last sentence. We really have no one to blame but ourselves in this mobile society that has driven businesses out of small towns. I have never commented before but I love barns and am sad to see one die and happy to see one restored. Someone told me that Minnesota loses one barn a day. On a car trip several years ago I was discussing this with family while grandson was involved with a video game in the back seat. Half an hour later we passed a barn that had fallen and he pipes up, “That must be the one for today.” Who even guessed he was paying attention? Thanks for all of your photos and observations. First, welcome to the comments section, Christine. I always enjoy hearing from readers and value your comments. Thank you. That’s an astounding number, one barn a day. I’m thankful for individuals like you who see the value in our barns and who pass that appreciation on to the next generation. Beautiful Captures – brings back the memories for me in growing up on farms 🙂 When I was a kid I thought it would be cool to live in a converted barn when I became an adult. I also thought it would be cool to live in a barn. Include me in those that would love to live in a converted barn; oh it would be so cool! Such a shame to see these beautiful structures vacant and then all but dwindle to the ground. Hopefully some of the younger generation will again return in time to the farm and lets hope some of these magnificent structures are still standing. I think there will always be people who appreciate barns. But it’s money that’s necessary to keep these beautiful structures intact. I so appreciate old barns like you Audrey, and it makes me sad to see those that have deteriorated through the years. I marvel at these enormous unique structures knowing that they really don’t build they barns anymore, I believe “pole barns” have taken over, that boring old generic rectangular building with tin roofs and shiny siding. 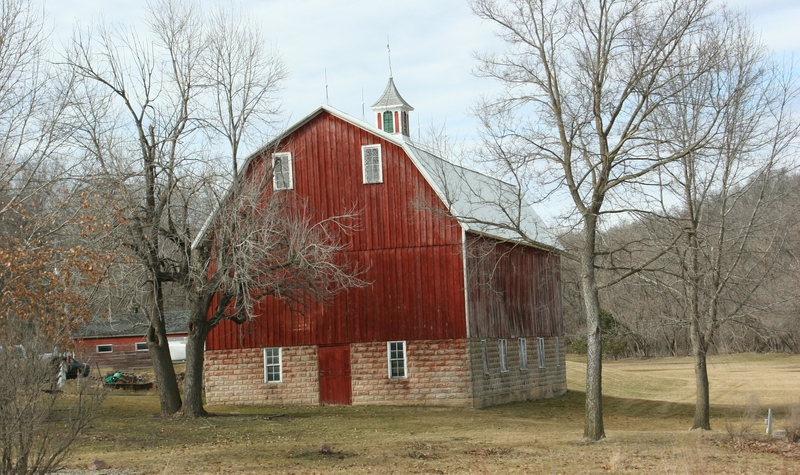 Loved looking at your photo’s especially the weathered red barns… my favorite! I love seeing the old barns n rural life n seems to be a thing of the past n most want to forget our history. I think it depends. There seems to be a deeper appreciation for preserving aged barns and other buildings than there once was.